If you learn that worms can occupy your brain, would you start avoiding some food? The worms we are talking about can cause some damages and live as parasites in the brain, causing some grave consequences. A study was conducted in Cambridge a few years ago, where a man was examined for his headaches. This man had travelled to China before doing these tests. China is a country that had the most cases of the parasite known as Spirometra erinaceieuropaei. It was spread through Thailand, Japan and South Korea as well. Besides headaches, the worm was causing seizures and weakness. 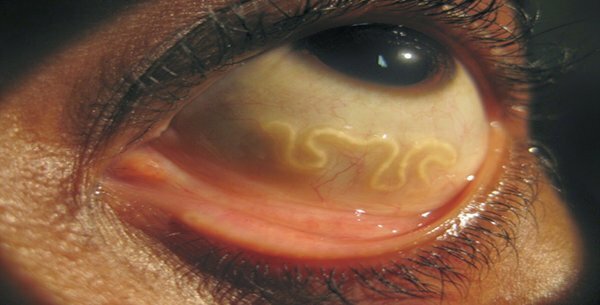 The man had a kind of parasitic infection, named sparganosis, which is caused by tapeworm larvae plerocercois diphyllobothroid. The patient needed surgery after the diagnosis, because this infection cannot be treated with medications. Although there are many tapeworms, only three of them infect the brain. The pork tapeworm is the main cause of infecting the brain. This infection can be obtained from eating undercooked pork from pigs that are already infected with this parasite. This leads to taeniasis, which happens when an adult worm lives in the intestine. The second kind of infection is when a person is in direct contact with animal feces. This can trigger neurocysticerosis, a condition when the larval worm infects the nervous system and brain. It is an infection that can be very dangerous because it can cause epilepsy. This infection happens more often in some parts of Asia, Africa and Latin America, but the global distribution of pork tapeworm is rising, which enlarges the number of patients with this infection all around the world. Certain types of drugs can help you fight this infection, but the most effective method is surgery. Other things you should be concern about are the world food trade and the international travels, including the risk to eat infected food. You need to spread this information and boost awareness about this situation.